Denver’s “Molly Brown House” was designed by architect William Lang in 1886. The Queen Anne style house, located at 1340 Pennsylvania Street, was one of four homes on the block in 1893, when the original owners, Isaac and Mary Large, were hit hard by the silver crash. J.J. and Margaret Brown, then living on York Street, had just struck gold (literally) with the Little Johnny Mine in Leadville, where J.J. was superintendent. The Browns were interested in moving into a grander home. The solution: the families bought one another’s houses. Architecturally, Denver’s “Molly Brown House” is built in the Queen Anne style. This is clear in the lines of the façade, which are asymmetrical. It contains classic elements of the style with projecting porches and balconies and decorative wood panels and brackets. Gables and hips are part of the roofline. But the rugged stonework (Castle Rock rhyolite and red sandstone) represents Romanesque architecture and sets the house apart from other Queen Anne’s of the time. In the years after the Browns purchased the house, changes were made to further emphasize the Romanesque elements. The original front porch had wooden railings and balusters. Over time, these were replaced with sandstone as the decking was expanded to the front. The original wood shingle roof was replaced with red clay tile and a rear wooden porch was enclosed in stone. The carriage house was also constructed using rhyolite and sandstone. Like the house, the ridge of its roof has terra cotta elements. A cupola sits atop the carriage house and a small porch faces the main house. 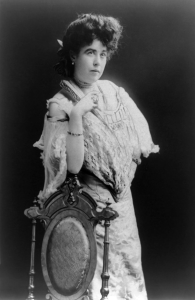 Molly Brown, made famous by the Broadway and Hollywood musicals “The Unsinkable Molly Brown,” was born Margaret (known as Maggie to her friends) Tobin on July 18, 1867 in Hannibal, Missouri. Her parents were Irish immigrants. She moved to Leadville, Colorado at age 18 where she shared a two-bedroom log cabin with her brother and sister. While living there, she met James Joseph (J.J. to the public, Jim to his family) Brown, also a second-generation Irish-American. At the time, J.J. was not the man Margaret had envisioned marrying. She later stated that she had intended to marry a rich man so that she could provide for her aging father but instead “fell in love with Jim”. Despite his poverty, she determined love was more important than money. They were married on September 1, 1886 and had two children, Lawrence Palmer (Larry) and Catherine Ellen (Helen). Despite their own limited means, Margaret (Maggie to her friends) frequently helped out at soup kitchens that provided meals to miners’ families in Leadville, where J.J. was superintendent of the Little Johnny Mine. In 1893, J.J. was instrumental in targeting a mining seam that produced substantial amounts of ore and his employer, the Ibex Mining Company, awarded him 12,500 shares of stock and a board position. Suddenly, the Browns were wealthy. 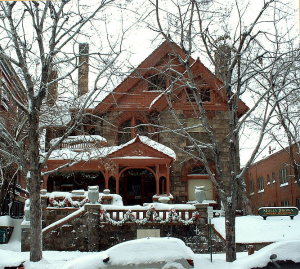 They moved to Denver and purchased the mansion on Pennsylvania Street in 1894 for $30,000. After J.J. and Margaret Brown moved to Denver, it didn’t take long for them to make an impression. 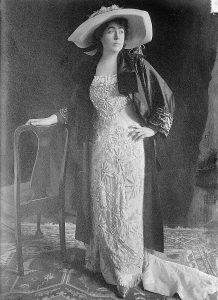 Margaret was a charter member of the Denver Woman’s Club, was involved in many arts organizations, and promoted humanitarian causes such as education, children’s rights, miner’s rights, historic preservation, and women’s suffrage. She spoke five languages (French, German, Italian, Russian, as well as English) and co-founded a Denver branch of the Alliance Francaise. She also helped raised funds for the city’s Cathedral of Immaculate Conception, assisted in the development of the first juvenile court system in the U.S. in Denver, and even ran for Senate. In 1909, after 23 years of marriage, the Browns legally separated. J.J. moved out of the house on Pennsylvania Street and provided Margaret a cash settlement and possession of both Denver homes (the summer house, Avoca Lodge, was located near Bear Creek). She also received a monthly allowance of $700 (equivalent to over $18,000 today). J.J. Brown died in 1922, without a will. It took five years for the estate to be settled due to disputes between Margaret and the two children. Due to lavish spending, the estate was valued at just $238,000. Margaret died in New York City in 1932, after finally reconciling with her children. The public rooms of the Molly Brown House conveyed the status, views, and personality of its owners. New technology in the late 1900s, such as central heating and electricity, made it possible to have a separate formal dining room, parlor, and library, each designed specifically for its purpose rather than the smaller shared spaces common among the lower classes. The entry hall was considered the transitional space between the outside world and the family areas. The Brown House entry and hallway is trimmed with polished wood wainscoting. A statue of a Moor holds a tray for calling cards, representing decorating fads of the time as well as proper social practices. If the lady of the house was not available, the visitor would leave a card. The call was either retuned or ignored (a snub). The elegant trimming, rich rugs, and gold-foil wallpaper conveyed a statement to visitors that the Browns were upper class. The parlor, located just right of the entry hall was considered the best room of the house and the place where most entertaining was done. Common to the Victorian era, the Browns’ parlor represented a range of styles. The room contained overstuffed Turkish chairs, a polar bear rug, and a piano. Floral swags and rose colored wall paper finish the room along with a variety of small statues, travel souvenirs, and other eclectic items. Second in importance to the parlor for entertainment was the dining room with its unusual decorative ceiling—painted to mimic a sunlit conservatory and trimmed with painted palms. Plaster medallions and friezes top the bottom section of the walls. Tapestries hand on the walls, aside the wooden furniture. Pocket doors closed off the room when not in use. When entertaining, the Browns used elaborate table settings of fine china. The way the table was set, the seating arrangement, and the time of day meals were served all conveyed particular meaning. The library is lined with barrister-style book cases. The room was a private family parlor until Margaret converted the room in 1910 by adding the bookcases and moving the family parlor to the rear of the house. The location of the library denotes it was a public space and a statement to visitors that education and reading were a high priority. Books were in such libraries were often selected for the statement the titles made and were bound in leather. Comfortable chairs were placed in each corner of the mahogany trimmed room. The Brown House also had dedicated private space. The family parlor was considered part of these areas. The only access was via other rooms rather than the entry, telling visitors they were not to enter. This space was the one dedicated to family activities, much like dens or family rooms today. Games, studying, reading, and other family activities ruled here and the decorations were informal. Also on the first floor was the kitchen. Like most kitchen spaces, it is functional with the requisite stove, icebox, and sink. Cupboards line one wall while a cook’s pantry holds cooking items. A butler’s pantry, between the kitchen and dining room held dinnerware and was considered semi-public in that guests could see into it while the door to the dining room was open. The Browns’ kitchen had running water and electric lighting. Electricity also powered the call box, via which servants could be summoned from any room in the house. Bedrooms were located on the second floor. The Brown House contained five bedrooms, used for sleeping, dressing, and solitary activities such as sewing or reading. Bedrooms typically echoed the style of their owner with children’s rooms being filled with toys and adults’ rooms holding items important to them. A day-bed might provide a place for naps. Often, couples slept apart (as did the Browns). Decorations were a mix of old and new styles in the Brown House. The Browns also had an upstairs sitting room, considered a semi-public space since it overlooked the entrance hall. Family and close friends could visit there and watch activities without joining in them while still being outside the bedroom areas. Margaret’s sitting room had large west-facing windows to allow sunlight in and had a wide view of the mountains at the time the house was built. It opened onto a balcony where she sometimes placed musicians to play during social events. 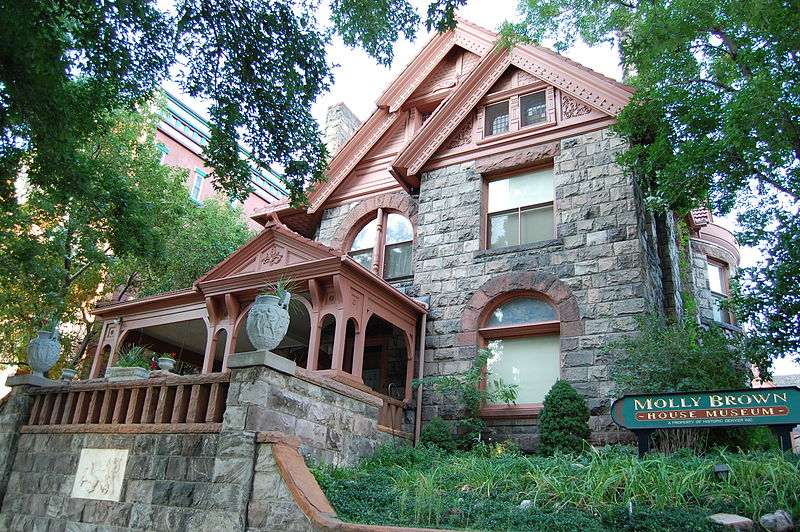 If you haven’t toured the Molly Brown House, it’s a great treat. The docents offer a great tour, filled with historical and architectural detail and the gift shop is not to be missed.